Are you respecting image copyright? Berlin, 11 July 2017: If we´re all honest it´s incredibly easy to find images online. But there’s always that doubt “can I use just use this image or do I still have to ask for permission?” To help with these concerns Copytrack introduces the top ten biggest misunderstandings of using unknown images online. A massive issue on internet, especially on social media. 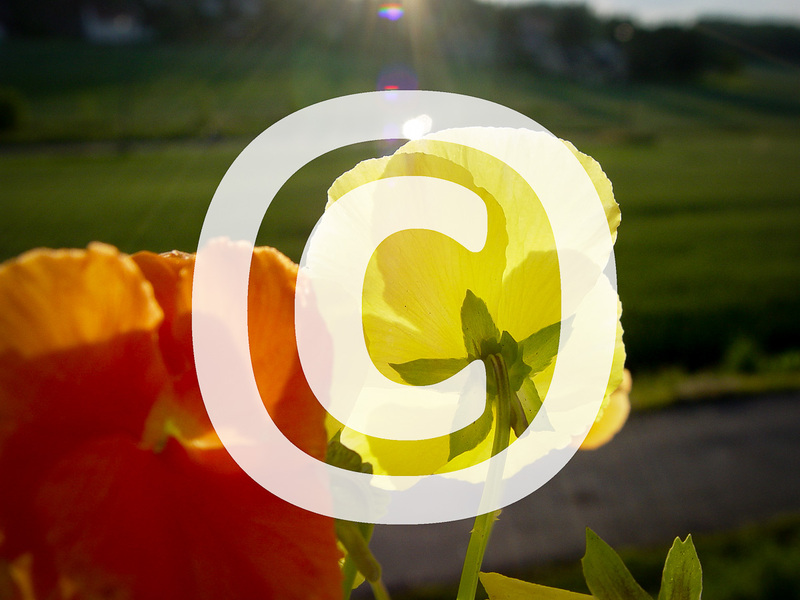 When someone wants to edit a photo, whether it´s changing colour, size and then use it for their own purpose, the copyright still needs to be obtained. Only if “free use” is stated or the original image is barely recognizable, permission from the copyright holder is not needed. You have to be careful what “free use” means though, as it varies for each image. In order to be able to advertise a product range, companies hire photographers to create product pictures and then acquire special licenses for images. The terms of the licenses are usually very specific, and the picture can´t simply be used for other purposes. The manufacturers’ licenses do not automatically apply to the product distributors. Scans, screenshots or photos from newspaper articles are often shared a lot online. However, copyright still needs to be taken into consideration when sharing newspaper articles. The publishers are usually legal owners of the texts. But that might not be the same when it comes to the pictures. Searching for images on the net is very easy and fruitful. However, images extracted from search engines are still copyrighted. Often the image sources and the copyright owners are not immediately visible. Despite this the copyright owner always has to be researched and the conditions for the image usage have to be clarified. Otherwise you could be paying for your mistake. Anyone commissioning an image and acquiring the license for the use of this image does not automatically have the right to pass the image on to a third party. Copytrack has a lot of experience of dealing with cases where images are shared to third parties without a proper licence. When the third party uses the image without a proper license- he is still at risk. Licenses always need to be checked. Images marked with a creative commons licence are actually available free of charge to the delight of many. But they are still copyrighted. Before use, it is also necessary to check the terms of the CC license as they vary, for example check if the photo be edited or can it be used for commercial use. Here is a double misunderstanding of many image users: not only professional photographers, but also amateurs have instant copyright when creating photos. Secondly, it is irrelevant whether or not an image has been used for private or commercial purposes. Unauthorized use can always lead to copyright abuse. If you want to use stock images, you acquire a certain license (standard or exclusive), which may look different for editorial or commercial use. If a stock image is used onto a company blog, this can soon be confused with editorial use. However, since the blog is a company and this usually increases the click rate, a commercial usage license must be purchased. When purchasing a standard license for commercial image use, it is also important to note that stock images, which are distributed online, have different licensing rules depending on the site that sells them. Using an image without permission is illegal. Just because others might do the same, it doesn’t mean you’re protected. Individuals are always responsible to check they have the right to use photos online. Those who make these mistakes are just the same as image right abusers. Ignorance helps nobody when it comes to image rights, so always be aware of what you´re sharing. Whoever uses original product photos for private eBay auctions puts themselves at risk of image theft. When someone sells a product they don’t suddenly get the right to use the original product photos. The best option is to take a little time and take a photo yourself. Copytrack knows dealing with image piracy on a global scale is tricky as copyright law is still territorial. The closest we get to a global copyright law is the Berne Convention for the Protection of Literary and Artistic Works, established in 1886, which helps with photographic protection. The agreement now includes over 190 countries, including the UK, France, Germany, Australia. The US initially had reservations of signing due to the changes it would have on their own copyright law. They finally joined the Berne Convention in 1989, but amended some of their laws so registration was required to tackle infringements in court. Now, just like Europe in the US copyright is free and instant. You don´t need to do anything to create it. Photography protection is done this way to encourage people to keep being creative. If everything we ever made could be easily stolen we wouldn’t be so keen on making and sharing it, right? So where does the Copyright Office come into it? If made before or within five years of publication, registration will establish evidence in court of the validity of the copyright and of the facts stated in the certificate. So, these are some pretty beneficial points to registering, and it´s clear it helps with photographic protection. The fact you can only go to federal court with a registered piece of work is pretty defining. It means you really should consider registering your work, and early on too. One of the main benefits of registering is statutory damages, but what are they? Predetermined payments established by law to compensate for certain injuries. Statutory damages are sometimes made available because it is too difficult to calculate actual damages. This is a really nice perk of the registration and the statutory damages can range from anywhere between $750 to $150,000! Should anyone outside of Europe considering registering? Copytrack warns photographers that just because you’re not based in the US doesn’t mean your work won´t be published there. With the internet as it is, you can never be sure where your work might end up once you shared it online. If your work is created outside of the US it´s not mandatory to have work registered to file a lawsuit. However, when you register early statutory damages are still available. It´s key to note, when you share an image online it could end up anywhere. It could be found in the US meaning to tackle the copyright abuse you would need to take finical risk going to court in the US. Copytrack understands the importance of global protection and is ready to battle image theft worldwide for its users. We ensure users are kept risk free, and never bear legal costs when tackling image theft. Our tip: Definitely consider registering your work, especially when you are working in the US. It might not be free, but you are well protected. Border Protection website at www.cbp.gov/. COPYTRACK was founded in 2015 by Marcus Schmitt. The company now consists of a team of around 25 colleagues from legal, IT, to customer service, and finance. The service is offered to photographers, publishers, picture agencies and e-commerce providers, and includes a risk-free search of the Internet worldwide. Photos uploaded by the users are located by COPYTRACK with a hit accuracy of 98 per cent. The customers can then define if images are with or without a license, and even determine the number of subsequent fees, supported by an automatic license calculator on our portal. COPYTRACK is fully responsible for out-of-court resolutions in over 140 countries, as well as legal resolutions in the relevant areas of copyright law. If the post-licensing process has been successful, the rights holder receives up to 70 percent of the agreed sum. The search function is free of charge. Berlin, December 19, 2016: The holidays annually demand extra spending, tearing a big hole in the budgets of many. Those who receive a Christmas bonus for their work during the past year can consider themselves lucky. For many photographers however, the opposite is usually the case. Often they don’t even know yet who still owes them for the use of their images, or how much. COPYTRACK would like to change this and also help image rights holders to their rightful wage. The problem relates to both laymen and professionals. They all invest time, money and know-how in the production of their images. When you upload them for commercial or non-commercial purposes on the Internet, you can hardly track, by whom, where and how often their images are used. “Most of our customers are surprised, we show them how many purchasers there are of their photos,” said Marcus Schmitt, CEO of COPYTRACK. It is common for images found on the Internet to be used for their own purposes, without asking for the owner’s permission, without paying royalties and designate them as owners. Schmitt estimates that globally 1.7 billion photos are circulated in this way daily on the Internet. “The owners and authors don’t receive a cent for their work” Schmitt states. To change this, COPYTRACK offers a full-line service, which regulates the concerns of its customers in a fair way. The service includes a permanent research with intuitive handling. Using a complex image recognition technology, the entire Internet is screened for duplicates of images uploaded by COPYTRACK customers. The complete search is free of charge and has a hit accuracy of over 98 percent. If an abuse is discovered, the customer can determine the amount of any subsequent license fee by means of the help of COPYTRACK. The service provider does not push to make any decisions. The copyright owner can also decide completely against the demand for a subsequent fee. The goal is to find a fair agreement with the users of these images. In this way, new and lasting business relationships are often created. Should it come to legal proceeding, with COPYTRACK there is no risk of staying at a cost, as it would be with the classic use of a lawyer. The service provider assumes all responsibility with his international partner attorneys and provides the evidence for the court hearing. As a rule, however, this step is not necessary. Most tracked image users pay after receiving the first letter by COPYTRACK. “We have a large number of customers to who we could transfer their money within a few days after uploading their pictures. For both photographers and non-professionals, this feels like a fiveer in the lottery – or these days even as a very special Christmas present, “says Schmitt. Whether it is judicial or out-of-court, COPYTRACK provides a subsequent license payment to the rights owner, which is up to 70 percent of the collected license fees. COPYTRACK ( www.COPYTRACK.com) was founded in 2015 by Marcus Schmitt and now employs around 25 people from legal, IT, customer service and finance. The service is aimed at, among other, to photographers, publishers, image agencies and e-commerce providers, and includes a risk-free search of their images of the world wide Internet of photos uploaded by the users of COPYTRACK with a hit accuracy of 98 percent. The customers define images used without a license and even determine the amount of subsequent fees supported by an automatic license calculator on the portal. COPYTRACK is fully responsible for out-of-court resolutions in 140 countries as well as a legal resolutions in the relevant areas of copyright law. Only if the license has been successfully licensed, the rights holder receives up to 70 percent of the agreed sum. The pure search function is free of charge.